How can a theistic evolutionist account for the origin of suffering and death? Young-Earth creationists have an easy answer in Genesis 3: it’s all man’s fault, but this conflicts with the overwhelming consensus in several scientific fields. Theistic evolutionists can accept that consensus, but they have a problem explaining how suffering and death arose in a world made by a benevolent, omnipotent creator, and pronounced by him to be “very good”, long before man came along to spoil things. They only attempt I’ve seen is by Michael Lloyd in his ‘Cafe Theology’, where he suggests that, after Satan fell, he caused the problem, long before man came on the scene. But are there any other ideas? For Christians who completely reject the story of Adam and Eve in any literal sense, the scriptures don't provide any definitive alternative. Thus you are entering into the realm of conjecture. Indeed, even if we were to take all of Genesis at face value, there isn't a lot of detail. That said, I think I would approach this problem by questioning the axioms of the argument. Namely: is it true that if God is benevolent and omnipotent that there thus cannot be any suffering/death in a perfect world? I would argue that a certain amount of suffering is actually beneficial to our growth as individuals and, at a more basic level, to our survival. A little cut from a knife teaches you that a knife is dangerous and to be handled with care, for instance. Additionally, death is necessary for new life. You constantly hear about how we are running out of resources due to our growing populations - imagine if nothing ever died! Thus death enables the possibility for new life. Even if we didn't need to eat, the planet would quickly get overcrowded with life and we'd be miserable. If we are focused on Theistic Evolutionists, they will further argue that God used evolution as the means through which he created life in all its various manifestations - which requires reproduction and ultimately death (as noted above). Let us also note that physical death is not the end from a Christian perspective; merely a necessary step in transitioning from our natural bodies to spiritual bodies. Finally, both God and Christ are believed to have suffered and, in the latter case, even died despite being sinless. So Christianity would appear to reject the notion that perfection = no suffering/pain/death. God foreknew the fall of man and thus allowed the consequences to occur temporally prior. The doctrine of the fall's true meaning is that creation as a whole fell, not that man has fallen. Allegorical readings of the Old Testament are necessary for this view. The fall of the angelic realm is what principally caused most of creation's corruption. Allegorical readings of the Old Testament are necessary for this view. As to the statements by God that the world is "very good," I would point you to the early Christians who denounced the heretical docetists who typically believed material is inherently evil. I presume most theistic evolutions stand in line with Jewish thinking that while this world is indeed broken, it is still "good." Not the answer you're looking for? 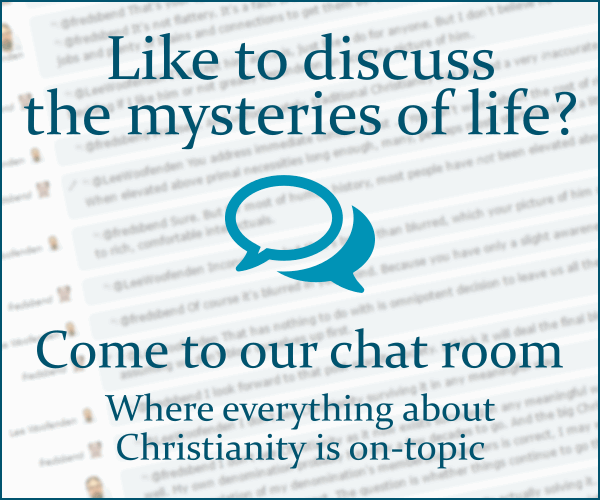 Browse other questions tagged death suffering theistic-evolution or ask your own question. How can suffering from natural causes be reconciled with an omnimax god? What are the Biblical and theological problems with theistic evolution? How do people who believe in immediate heaven for believers at death explain Tabitha? What is the basis for saying that B. B. Warfield believed in theistic evolution? How do Theistic Evolutionists who are Christians reconcile these Scriptures with the adoption of evolutionary theory? If Jesus's death was not eternal, then how can it be substitutionary for the eternal deaths of humans?